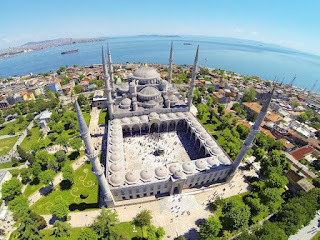 The Blue Mosque — with its five main domes, six minarets, and eight secondary domes — is considered the classical period’s last great mosque. 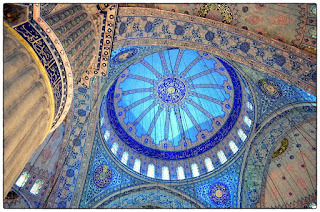 The architect, Sedefkâr Mehmed Ağa, combined Byzantine Christian and traditional Islamic architectural elements for a work of overwhelming size and splendor. After the Peace of Zsitvatorok (which ended the Fifteen Years’ War between the Ottoman Empire and the Habsburg Monarchy) and the empire’s loss in the 1603-1618 war with Persia, Sultan Ahmed I was looking for ways to boost morale. The Sultan Ahmet Mosque, built between 1609 and 1616, was meant to reassert Ottoman power even though Ahmed I had to procure funds from the treasury since his lack in victory also meant a lack in spoils of war. 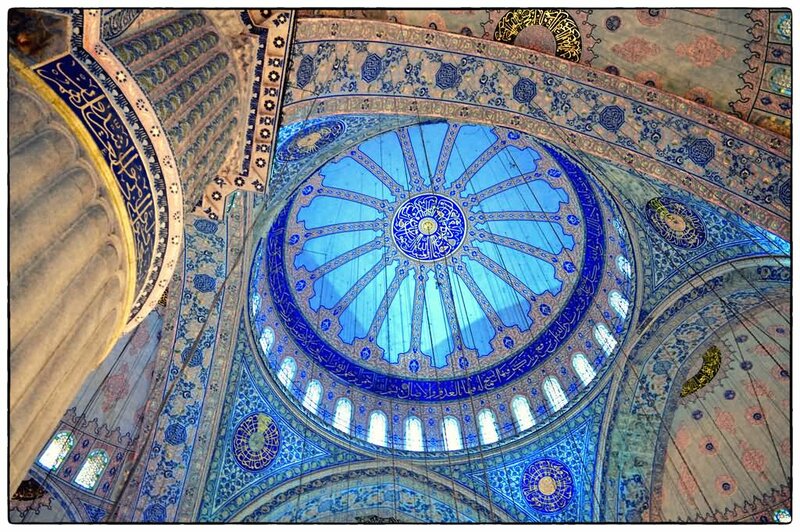 So why is Sultan Ahmet Mosque also called the Blue Mosque? Because its interior is lined with more than 20,000 handmade İznik tiles, a ceramic that is always turquoise in color with red tulip designs. 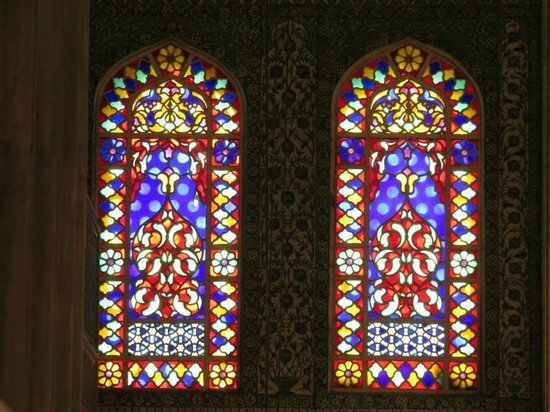 The mosque’s upper levels are also painted blue with natural light flooding in from the more than 200 stained glass windows. Just a sampling of the beauty within the Mosque! 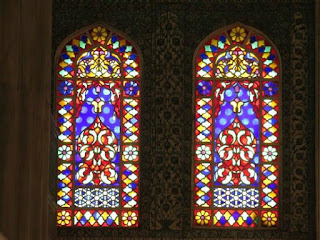 Stay tuned, more to come in showing famous Stained Glass!